Seamlessly Migrate and Sync Massive Volumes of Files to Dropbox. Cloud Fastpath streamlines content migration to Dropbox from on-premises file servers and other cloud storage providers. Ingest rate of well over 20 files/second per thread, the fastest in the industry. Flexible replication of user and group permissions, ownership, and sharing between sources and Dropbox. Robust reporting and analytics to plan and validate migrations. Automated file transfers, scheduled file transfers, file transfer job chaining. Creation of a synced and redundant copy of Dropbox on local servers or object storage. Support for the latest and greatest Dropbox features and functionality. In this demo video we quickly outline Cloud FastPath and some of its core features. Point and click interface allows you to setup connections with Dropbox and other systems in minutes. No software or libraries to maintain. 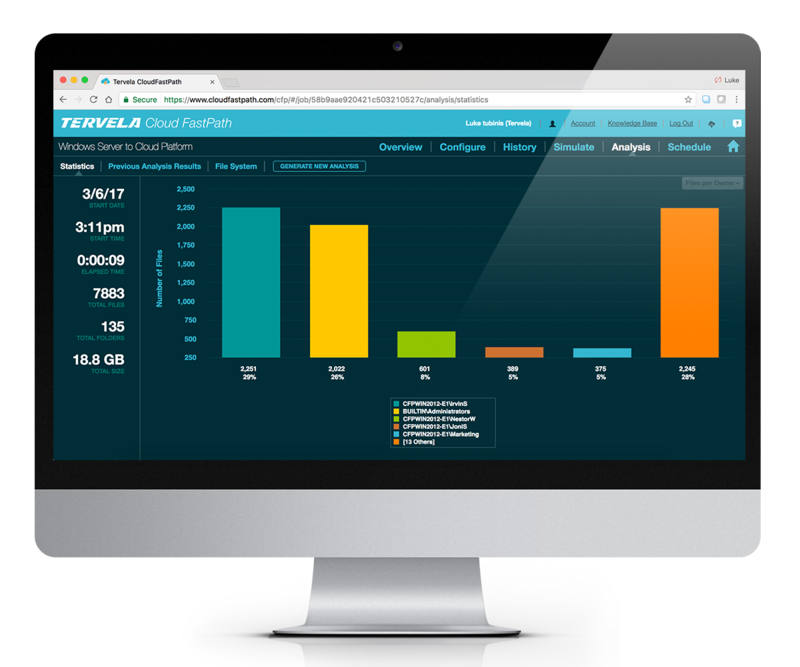 Cloud FastPath uses compression, TCP and WAN optimization, and high velocity data streaming to move your files in hours rather than days. Files are automatically encrypted and move point to point between the sources and Dropbox. Your files and data never come in contact with Cloud FastPath’s servers. Easily map existing filetrees, users and permissions to Dropbox. Create jobs to regularly migrate and sync files and data. Errors and failures are automatically handled and mitigated to avoid migration “restarts”. Monitor your data motion jobs in real time. After a job is complete, you can easily validate your successful Dropbox migration and sync. No more guessing and no more lost files.